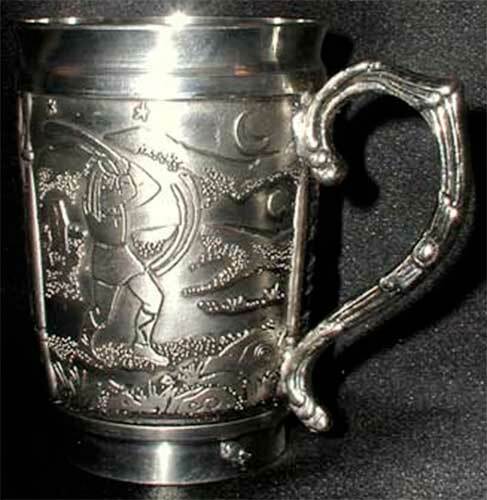 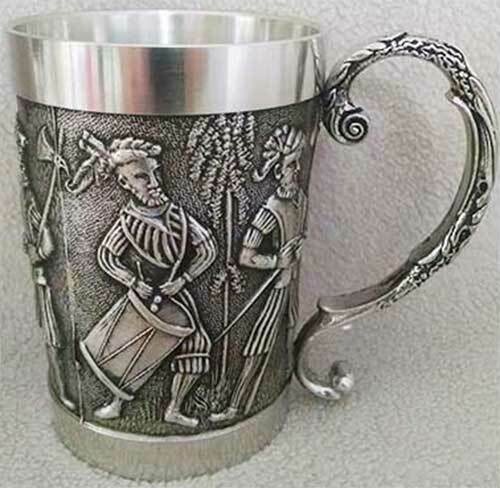 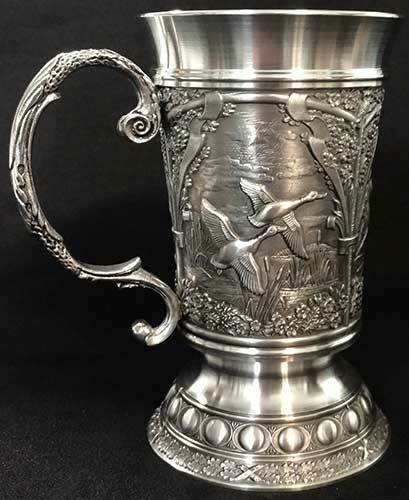 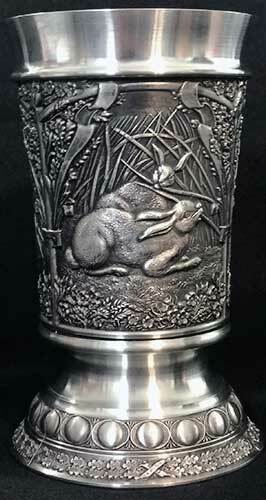 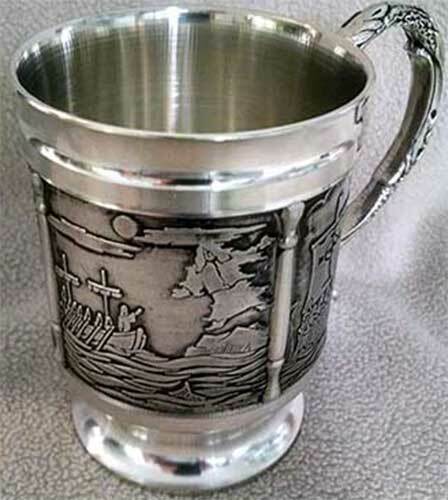 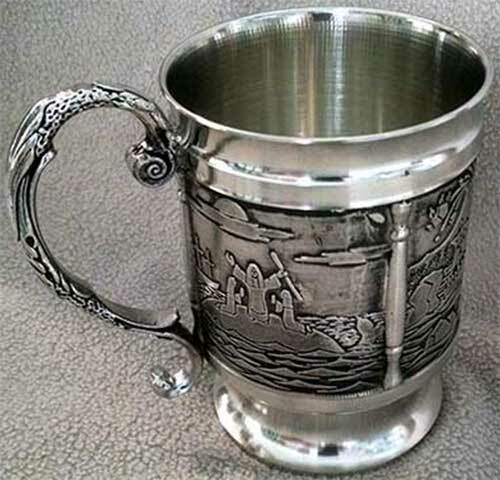 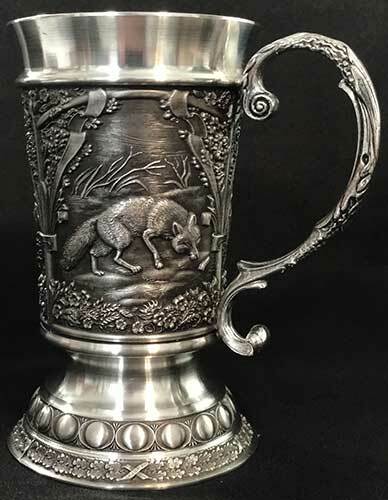 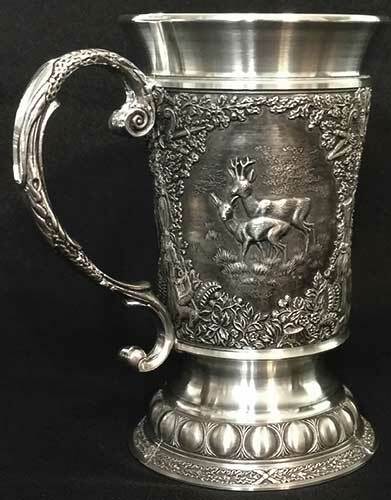 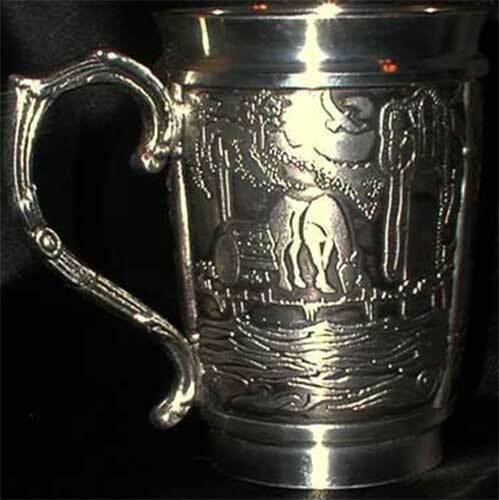 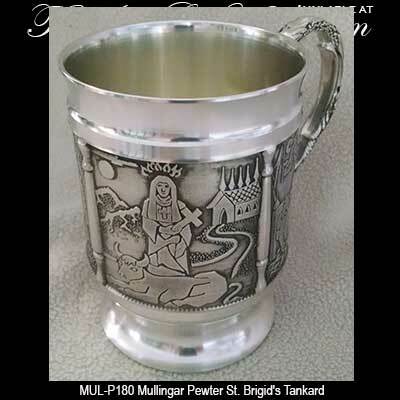 Irish pewter tankards are a sophisticated yet manly gift that will enhance your pub or bar. 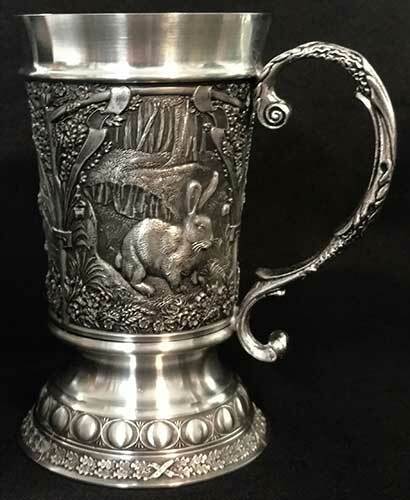 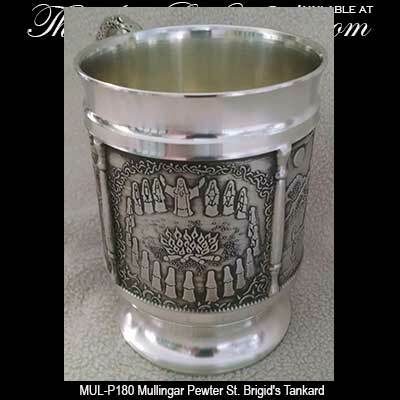 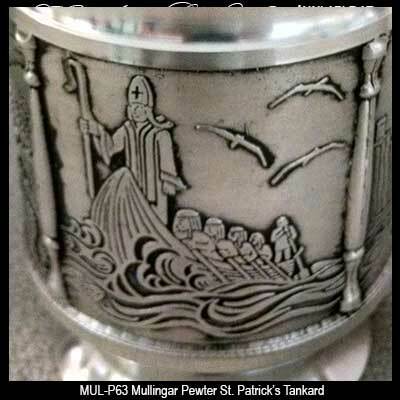 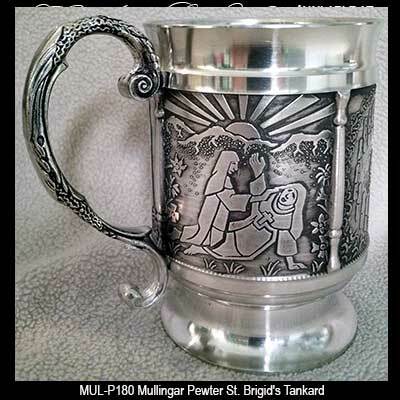 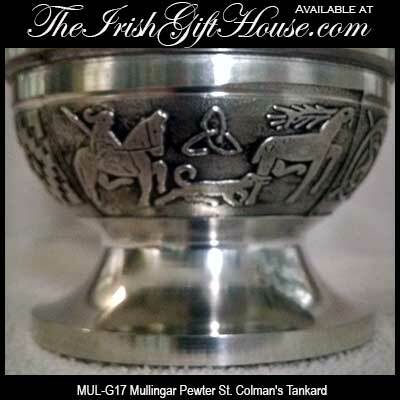 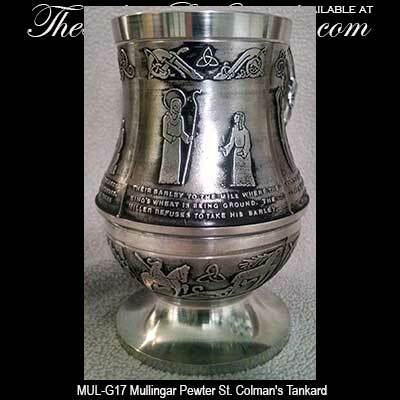 This collection of Irish tankards are made in Ireland by Mullingar Pewter. 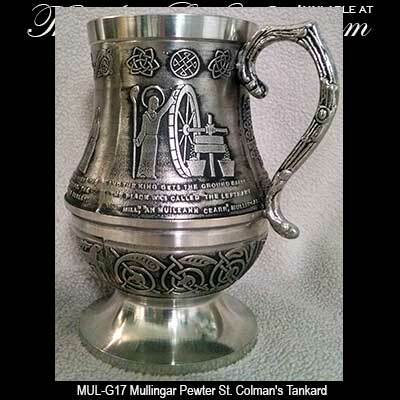 In addition to our Irish pewter tankards, this collection of Irish barware at The Irish Gift House includes a couple of Irish steins with lids. 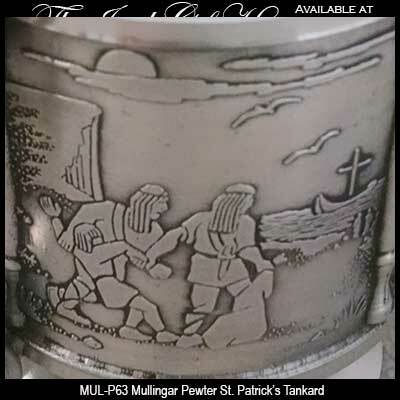 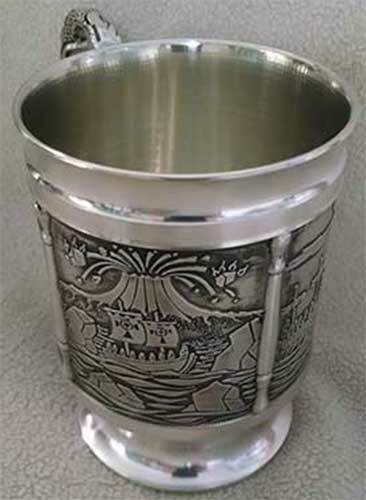 These Irish steins, with either the Claddagh or a shamrock, are also made by Mullingar Pewter they are an Irish gift you will be proud to give or receive. 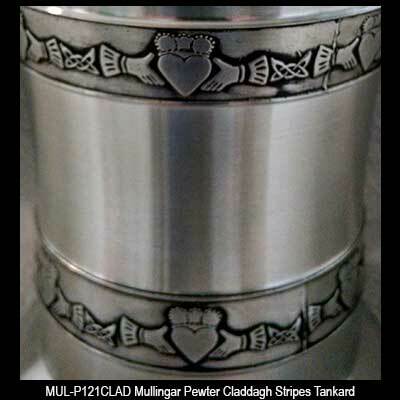 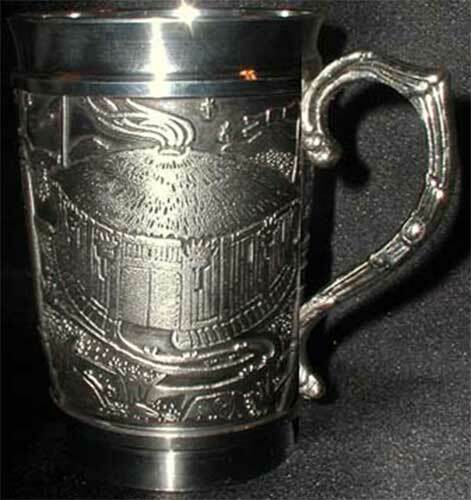 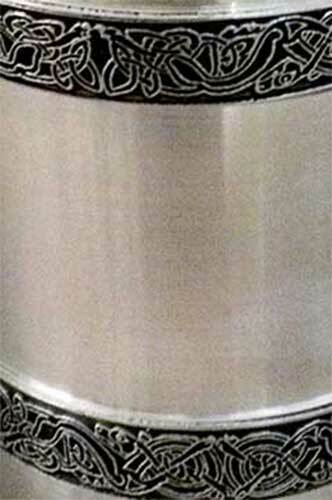 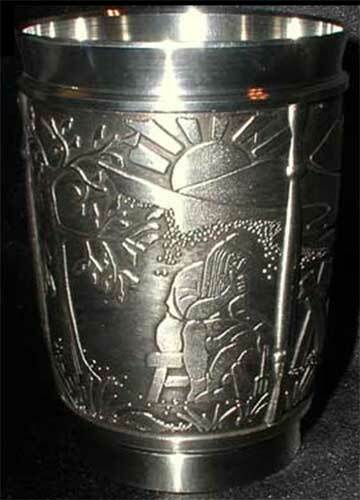 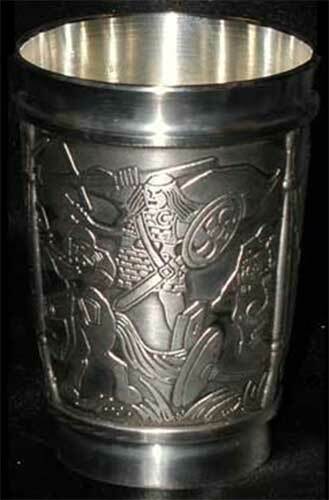 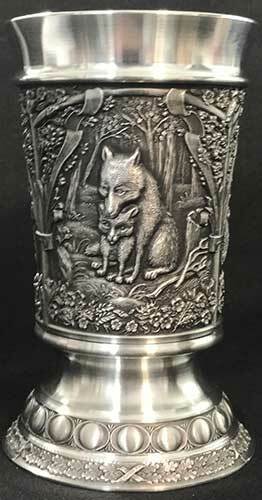 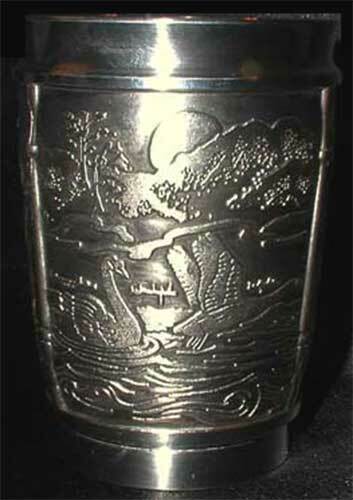 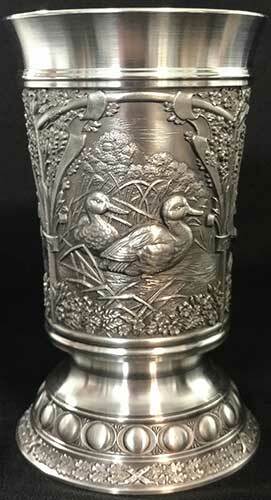 Irish stein features a pewter Claddagh emblem along with a pewter lid. 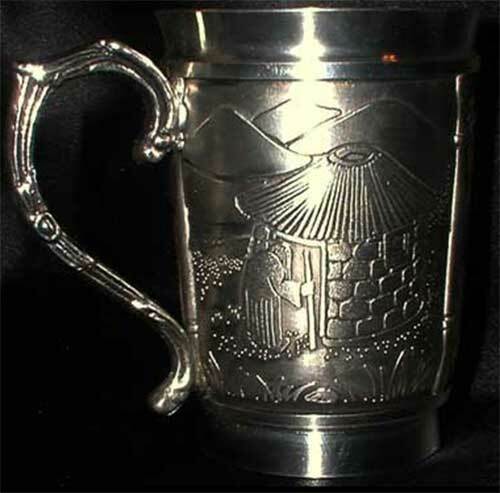 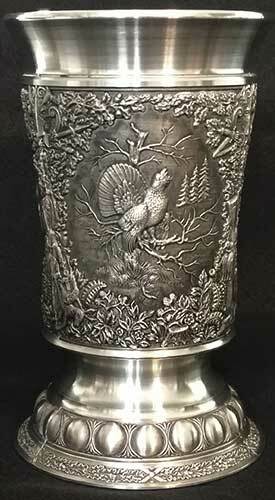 The pewter stein is ideal for beer. 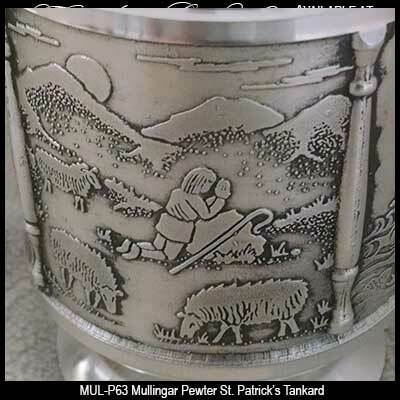 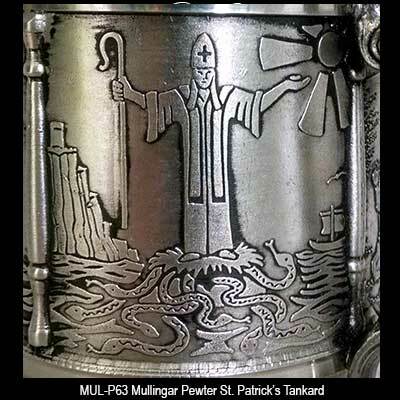 Irish stein features a pewter shamrock emblem. 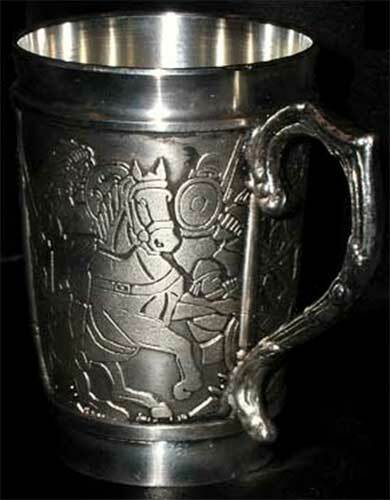 The pewter stein is ideal for beer. 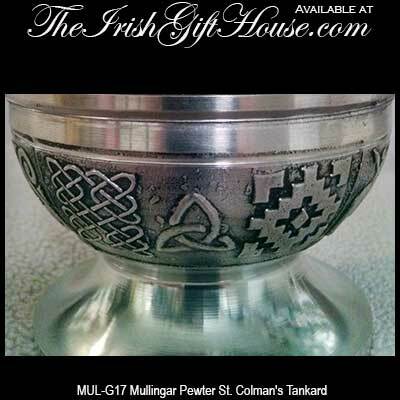 The Irish Gift House has all of your barware needs covered on our extensive site. 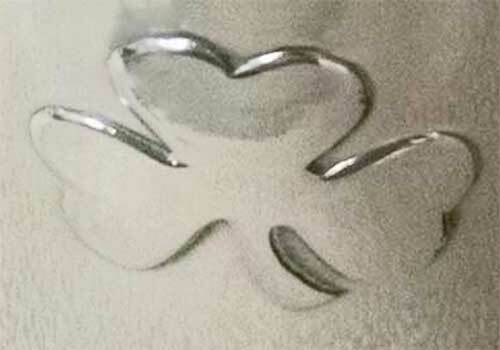 Please browse our assortments of Celtic coasters and Irish bottle openers; they will make fine gifts and are ideal accessories for your pub or man cave. 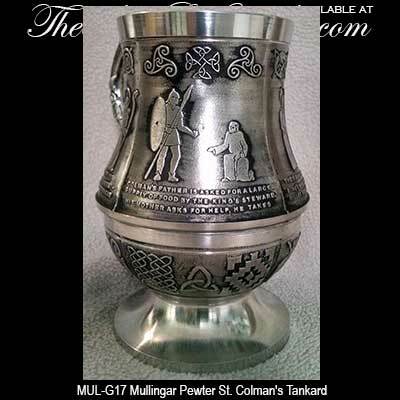 From Irish beer glasses to Celtic goblets we have every sort of drinking vessel imaginable that are sure to complement your taste and decor.